Corporate histories can be amazingly dry, but I was determined that this one would be different. As much as possible I would tell the story not in my words, but in the diaries, letters and memoranda of the people living it at the time. Not only were they great writers, they could convey their hopes and fears with an immediacy that a historian could never match. My proposal could only go to one publisher, of course. For a start, it already owned the copyright in all those internal memos and outgoing letters. 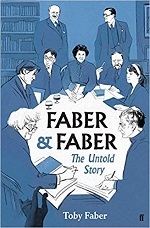 I don't know how much internal debate there was before I heard the good news, but it didn't take too long: Faber & Faber: The Untold Story, by Toby Faber, would be published by - Faber & Faber. So I began the process of research. I sat at the octagonal oak table in Faber's archive, the same one at which my grandfather would chair the Book Committee every Wednesday, and the archivist brought me boxes. Geoffrey died in 1961, four years before I was born, but I grew to know him. I built a picture of how the firm survived and eventually prospered, fleshing out the half-remembered stories of my childhood. That gave me a structure into which I could insert the pieces of correspondence showing the arrival of the authors with whom the name Faber is now almost synonymous: Siegfried Sassoon being told that a £100 advance for the initially anonymous Memoirs of a Fox Hunting Man was thought to be a little steep, Eliot apologising to Louis MacNeice for keeping his poems for so long, Samuel Beckett regretting the way Faber had published a bowdlerised version of Waiting for Godot, Wendy Cope suggesting that Making Cocoa for Kingsley Amis be promoted as "another winner from Faber, the firm that puts the TRY in POETRY". There were failures too. Timidity meant Faber lost the chance to publish Ulysses; Joyce dubbed the firm "Feebler and Fumbler", but still looked to it for the publication of Finnegans Wake. The Faber reader could not see the point of Paddington - "Moreover, the Brown family are perfect fools" - and all Philip Larkin's enthusiasm was unable to persuade the firm to publish Barbara Pym. Working to a tight deadline for the firm's 90th anniversary, I built hundreds of short extracts into a narrative. It went to Faber last summer, but I was still working - and making more discoveries - until the final proofs went off to print in the middle of February. I am proud of the book. It tells the story I wanted to tell. 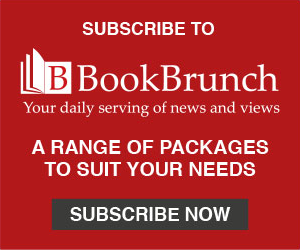 I hope it speaks to anyone interested in the history of publishing or of 20th-century literature. The potential market is wider than that, however. The drama of how Faber managed to survive has universal appeal. Some of the jokes are pretty good too. People often ask me what surprised me most during those 18 months of research. My standard answer is that - for all his greatness as a poet - I had not expected to be so impressed by TS Eliot. He shines through as someone who would have been brilliant at any job he did. There was another surprise, however. While I was writing the book, Peter Straus at RCW sold a novel I've been working on for the past decade to Muswell Press. Its premise is that a young woman sees a man falling in front of a train on the Tube. I was some months into my research when I read my grandfather's description of his first recruit - a key director - being killed in a very similar accident in 1945. Had my imagination been sparked by a vague memory, or perhaps a parental warning? So now I have two books coming out within a month of each other. One is fiction, the other is fact, but both involve death on the London Underground. Toby Faber is the author of two previous works of non-fiction, Stradivarius (2004) and Faberge's Eggs (2008). Faber & Faber: The Untold Story will be published on 2 May. 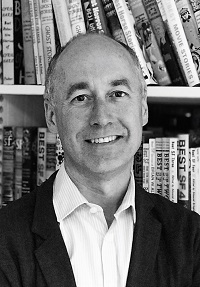 His first work of fiction, Close to the Edge, comes from Muswell Press on 4 April.